Dr. Hawkins, who previously served as deputy chair of the Board of the not-for-profit, non-partisan Trust, will serve a two-year term ending Dec. 31, 2020. 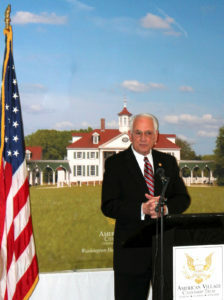 Opened in Montevallo in 1999, the American Village serves the nation as an educational institution whose mission is to strengthen and renew the foundations of American liberty and self-government by engaging and inspiring citizens and leaders with a special emphasis on programs for young people. The American Village, founded by Tom Walker, has engaged and inspired more than 500,000 students from Alabama and southeastern states since its opening. The center educates young people to know America’s history, cherish the ideals of liberty, and serve the country as good citizens and leaders. Dr. Jack Hawkins, Jr., Chancellor, was sworn in as chair of the Board of Trustees of the American Village Citizenship Trust on Jan. 31. A native of Mobile, Dr. Hawkins has served as chancellor of Troy University since Sept. 1, 1989, and is the second longest-serving, active chancellor or president of a public, four-year university in the country. Dr. Hawkins earned his bachelor’s and master’s degrees from the University of Montevallo and his doctorate from the University of Alabama. Upon completion of his bachelor’s degree in 1967, Hawkins was commissioned a lieutenant in the U.S. Marine Corps and served as a platoon leader during the Vietnam War. For his combat duty, he received the Bronze Star, the Purple Heart and a citation from the Korean Marine Corps. Hawkins has overseen an era of change at TROY, as he led the merger of the worldwide Troy State University System into the unified Troy University. More than $350 million has been invested in capital improvements by the Hawkins Administration, including new academic buildings on all four of TROY’s Alabama campuses. Chancellor Hawkins served as the catalyst for the University’s evolution to an international institution, as TROY has attracted record numbers of students from other nations and established teaching sites around the world. During his tenure, academic standards for admission have been raised, new degree programs were established in all academic colleges, and intercollegiate athletics joined the highest level of NCAA competition. 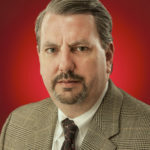 Hawkins serves on the board of directors of the Daniel Foundation, Business Council of Alabama, Central Alabama Sports Commission and Troy Bank and Trust Company.